The African diaspora was the movement of Africans and their descendants to places throughout the world such as the Americas, Europe, Asia, and Australia. Much of the African diaspora is descended from people who were enslaved and shipped to the Americas during the Atlantic slave trade, with the largest percentage sent to Brazil. Brazil obtained 37% of all African slaves traded, and more than 3 million slaves were sent to Brazil. The Trans-Atlantic Slave trade resulted in a vast and as yet still unknown loss of life for African captives both in and outside of America. Approximately 8 million Africans were killed during their storage, shipment and initial landing in the New World. The amount of life lost in the actual procurement of slaves remains a mystery but may equal or exceed the amount actually enslaved. If such a figure is to be believed, the total number of deaths would be between 16 and 20 million. Most historians now agree that at least 12 million slaves left the continent between the fifteenth and nineteenth century, but 10 to 20% died on board ships. Thus a figure of 11 million slaves transported to the Americas is the nearest demonstrable figure historians can produce. Gorée is famous as a former center of the Atlantic slave trade from where many Africans were forcibly departed to the Americas. 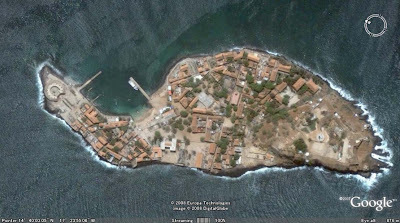 Gorée is a small island 900 m in length and 350 m in width sheltered by the Cape Vert Peninsula. Now part of the city of Dakar, it served for many centuries as one of the principal factories in the triangular trade between Africa, Europe and the Americas. 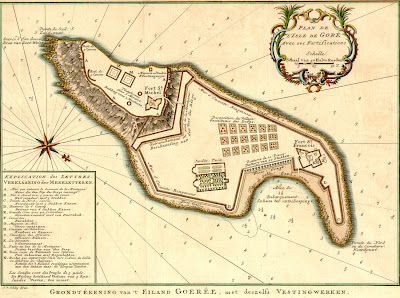 Gorée is best known as the location of the House of Slaves used as a holding and transfer point during the slave trade. The House of Slaves is one of the oldest houses on the island. 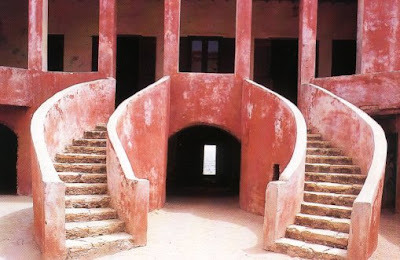 The Door of No Return in the House of Slaves is said to be the final exit point of the slaves from Africa. The House of Slaves is powerful, not because millions of slaves actually left through The Door of No Return, but because Africa's descendants have made this their place to honor them. The slaves from Gorée were destined essentially to the French colonies in the Caribbean (prominently Haiti) and in Louisiana, as well as to the Spanish colonies (Cuba essentially) and to the Portuguese colonies in Brazil. Very few African Americans from the U.S. have ancestors who went through Gorée, as the English colonists had other sources of "import" for their slaves. Those who can with most certainty consider Gorée as a transit point for their ancestors are the African Americans whose family are from the south of Louisiana, some of which actually still speak some sort of French. As African Americans have migrated a lot throughout the US in the last 100 years, it can be difficult to know with certainty which families were originally from French Louisiana.